Cinque Terre means “Five lands”, is a combination of five beautiful small villages of Italy on the coastline of Italian Riviera surrounded by the beautiful hillsides. 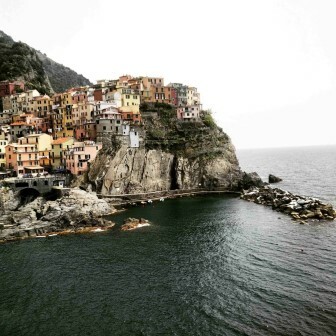 Five villages which comprises Cinque Terre are Monterosso al Mare, Vernazza, Corniglia, Manarola, and Riomaggiore. They are listed on the UNESCO World Heritage List. 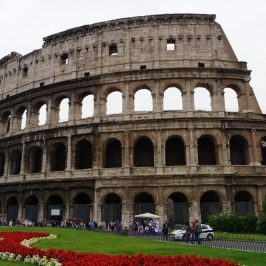 If you’re flying into Italy and Cinque Terre is your first destination, the closest airports are Pisa, Genoa or Milan. Cinque Terre is situated north of the Tuscan border and takes about three hours on the train from either Florence (to the south) or Milan (to the north). It is best connected with very frequent services of Local trains from La Spezia. Best way to travel from one village to another is Train, Boat and by Foot. Villages are well connected by rail and each of the villages has a train station, though some are only served by local trains. 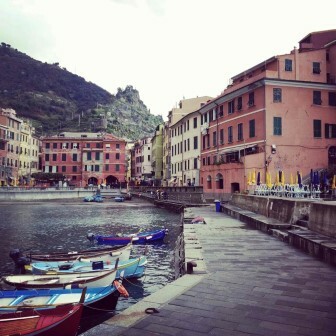 We traveled by train from Venice to Vernazza, one of the village of Cinque Terre. We had to take two connections of Trenitalia, One at Florence and another at La Spezia. 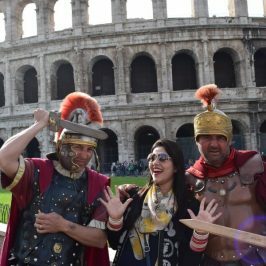 Changing trains in Italy is smooth and easy. It took around 5 hours from Venice till Vernazza. From Vernazza we went to Rome to fly back to Thailand. 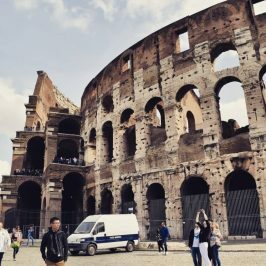 Tickets from Vernazza to Rome cost around 75 Euro for two people. All the villages are really small and majority of hotels/Inn’s can be reached by foot. 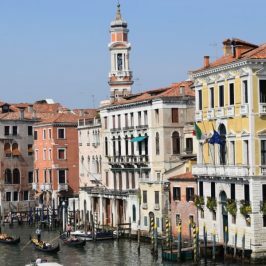 But make sure you book accommodation nearby train station as you need to carry your luggage and in some villages it can be a steep walk. All the villages are amazingly beautiful. 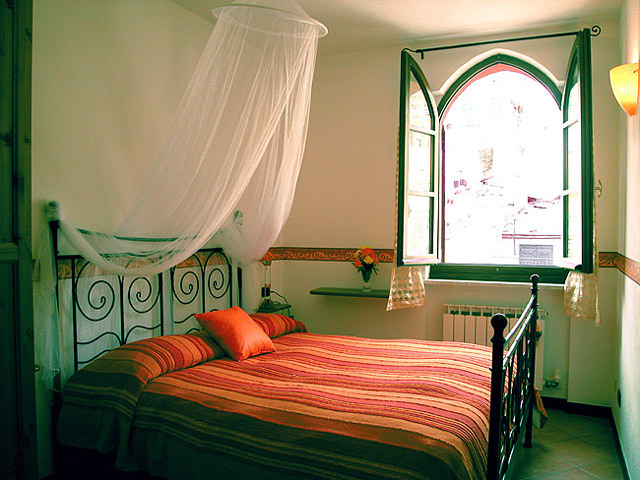 If you want breathtaking views stay in Vernazza or Manarola. 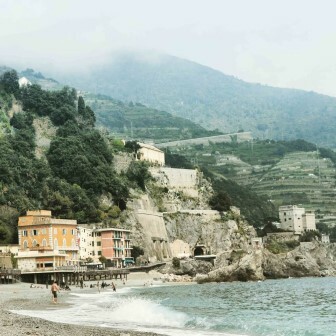 If you fancy a big beach than Monterosso al Mare is the place. 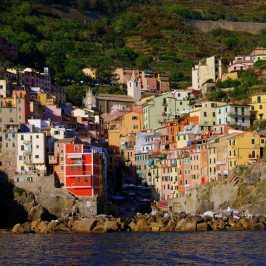 Riomaggiore and Monterosso al Mare are recommended as they have more food and accommodation options. This B&B is located in the center of the village, at 120 meters from the station and at 60 meters from the main square and the sea harbor. Make sure you ask for a lower floor when you reserve as it will a tiresome job to take your luggage to higher floors as lifts are rarely available in any of the accommodations around Cinque Terre. But the host at Ivo Camere were very supportive and they helped us in transferring our luggage to the room on 3rd floor. Cinque Terre is very Picturesque. Trekking the villages is one of the most common activities people do. Water sports are available according to the season you visit. Many visitors also opt for boat tours. This is the first village of the region and has many good options for food and accommodation. The most picturesque village of the region. The only village which is not adjacent to the sea as it is situated on a cliff. Biggest of the village with a beach to relax. Among other villages You can found the maximum number of restaurants and accommodations here. There are many Restaurants with breathtaking views. 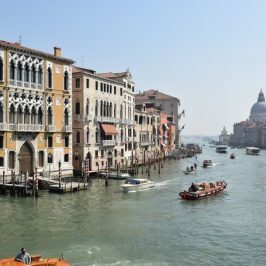 You can also find plentiful of Seafood in this region of Italy.Food is bit costly than the other cities of Italy due to the exclusivity of the region. The restaurant is towards the coast of Vernazza Village. The views are just spectacular from here. Fresh food for takeaway. Economical and delicious. Buy Cinque Terre Card if you have less time and want to travel to and fro between villages. It also gives you access to all the National Park’s paths and to the sustainable transport network within the Park. 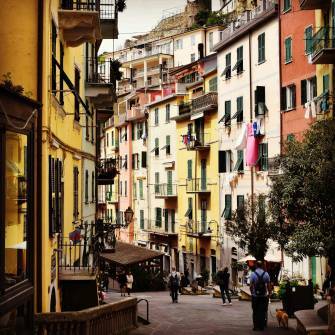 Stay in Riomaggiore and Monterosso al Mare as they have more options for accommodations with better prices. You can buy your daily need stuff from multi utility stores like coupe which helps you save money. Avoid eating at La Spezia Train Station. Food is costly and not good.